If your business website is not on Google My Business, it’s time to take advantage. It provides a free and easy way for customers to find you online. Formerly called Google Places, this free service lets users search and browse local businesses within a close-proximity map view that displays relevant company listings. Each listing can contain reviews, hours of operation, contact information and other vitals pulled in from your Google My Business page. From the online user perspective, Google makes it very easy to write reviews on behalf of businesses. This can provide your business with important feedback and help boost trust with your prospective customer. Click this link to access the Google My Business log in page. Search your business name. If you are not given a result for your business, complete the short form and submit. Google My Business will mail a verification code to your physical address, and a google+ profile will be set up. Add details about your business; photos, hours of operation, website URL and other profile info to personalize your business listing and provide users with tons of useful information. Now your business is ready for Google searches that include your city location and industry keywords. 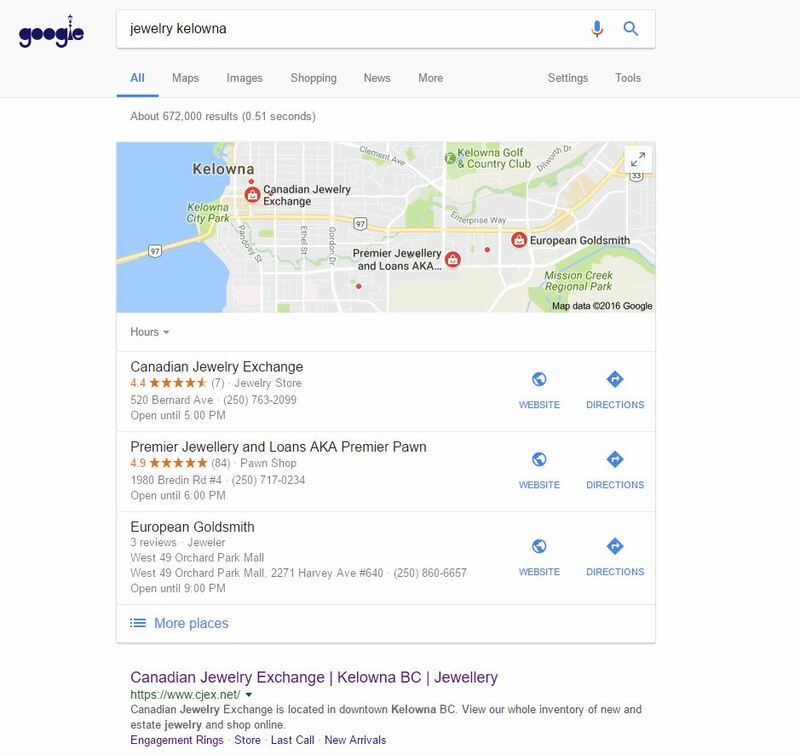 When a user queries the city you have listed in Google My Business, and keywords pertaining to your business (ex: Kelowna hunting goods), you have the opportunity to have your listing display in the Local area at the top of the first page of Google rank. Questions? Require assistance with Google My Business in Kelowna? Email or call me at Navigator Multimedia today and I’d be happy to help.